This is what I came up with. 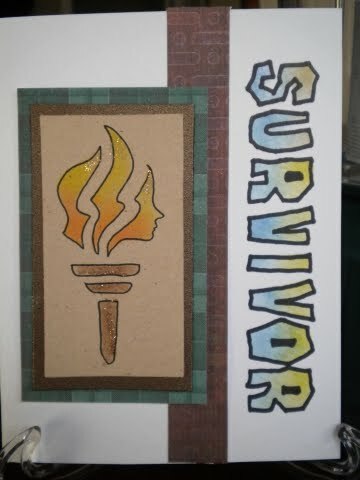 I went online and found the Survivor logo and tried my hand at copying the look of the lettering. I then made a stencil of that. 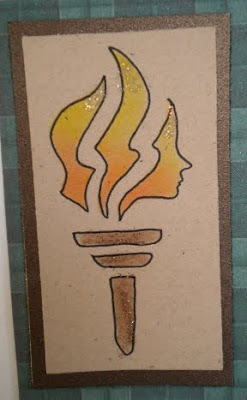 I also looked for the Young Women's logo (the torch with the face in the flame) and made a stencil of that. Then, I kind of put them together. It wasn't easy making a very feminine torch look tribal, and I added some stickles to it because I couldn't resist, but I think it looks okay. I had to make 30 of these puppies. That took some time. But, they are done! 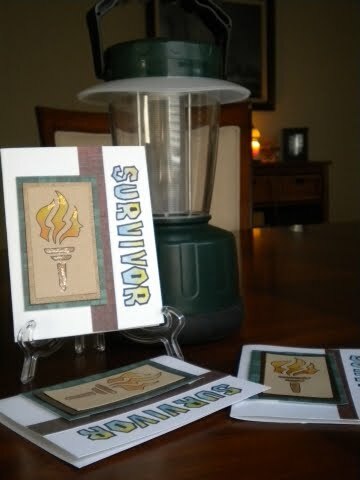 Now to get back to finishing up the card set I have been working on all week. In the meantime, here is a card I forgot to post here. It was added to the Pink Gallery a couple weeks ago. I made it with the Doodlebug Charms cartridge. 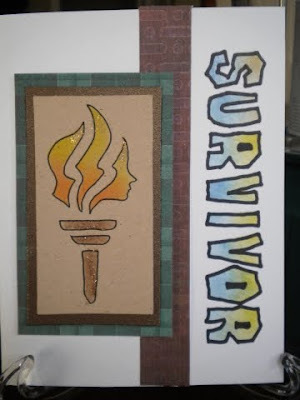 I thought it would be a fun get well card. Enjoy! both cards are great. congrats on the mps gallery! Both of these are fantastic! 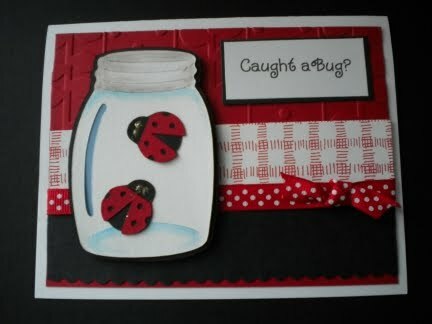 Love the bugs in the jar, though!